A Magical Motivators take on the hidden, magical secrets of Ian Fleming. In fact according to the Guiness Book Of Films it is the #1 most recognized movie quote of all time. Yes, even beating out movie classics from Casablanca and Gone With The Wind. And apparently over half of the world’s population has heard of James Bond. Not bad at all for a fictional character first penned by author Ian Fleming in 1952. If you have not guessed it by now, I am a James Bond fan. I have seen every movie at least once, and many more than 3 or 4 times. In fact one of my best Christmas presents of all time was a 007 Spy Briefcase I received when I was boy. It featured all the James Bond gadgets including a special spy decoder I still treasure to this day. I have also extended this “spy fascination” into the magic that I do. I created a character James Wand who was a “magical spy” in a number of illusion vignettes. And today one of our specialty shows is a “spy illusion show” called ESCAPE – A Behind The Scenes Look At The Magic Of A Secret Agent Training School! But to me, there is a further “hidden magic” to 007’s appeal. No, it’s not the fancy gadgets, the beauties or bullets. Nor is it the fast cars, glamorous locations or extravagant lifestyle. To me there is a deeper fascination. To me James Bond’s real magic is HOW he makes his magic happen. The answer? He thinks and acts like the ultimate magician! He understands what is needed to make the impossible, possible. First, he knows that nothing is impossible. He understands that real magic is nothing more than coming up with simple effective solutions to complicated problems, and then taking action. He visualizes his mission’s end result and then takes the necessary steps to achieve that result, just the way a magician creates a piece of magic, by working backwards. Every piece of the puzzle is put together in the proper sequence until the final picture / secret mission / illusionist’s magic are achieved. He also knows to watch what he is doing very carefully. He monitors his results and if what he is doing is not working, he will try something else. And if that doesn’t work, he will try something else. But he will stay with it until he achieves his end goal. Next, he is a firm believer in the magician’s creed, that “every problem contains and suggests it’s own solution”. 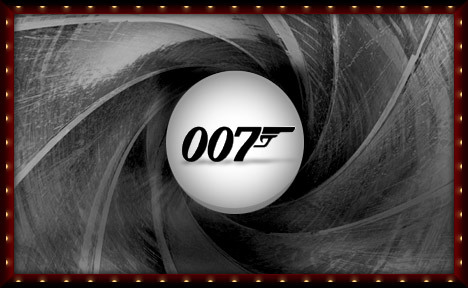 How many times have we seen 007 in an impossible situation ö definitely no way out? And then he uses one little piece of the environment or situation to give himself the upper hand and turn the tables on the villain. Sure in some of the later films there could be some pretty amazing gadgets involved, but more often than not it was the James Bond’s mindset that Ian Fleming created that was responsible for saving the day. And finally, James Bond never, ever, ever gives up, and definitely strives at being the best at what he does. He knows to learn the basic skills needed to do his job, and he has made great effort to master these skills. His has passionately mastered weapons, social skills and himself in a same way a magician masters sleight of hand, presentation skills and mindset. And he continually feeds this passion. So how can you apply this to what you do? Use the same magic formula. 1. Create a vision of the end result you want to achieve, no matter how impossible it may seem. And make it as detailed as possible. Then fill in the blanks with simple actions needed to make you vision real. Study your actions, and change and tweak them as necessary to get you closer to your end result. 2. Remember that every problem contains and suggests it’s own solution. The obstacles that stand in your way truly do contain the answers to lead you in the right direction. Take a negative aspect of something that you currently see as a limiting element, and imagine it to instead be empowering. How can this element work to your benefit to achiever your goal? 3. And finally, remember to go after your dreams with passion. Take the time to learn the basics of what you need to do, and passionately master these skills. Become the best at what you do. Stay the course when things get bad and then passionately move on again toward your dream. Apply this to your life, your vocation, your work and you too can become the James Bond of your vision. You can use Ian Fleming’s secrets to make your own Real Magic happen. Real Magic is nothing more than coming up with simple, effective solutions to complicated problems, and then doing something about it! But Real Magic can happen only when people believe in themselves and are passionate about making a difference in their own life and the lives of others! Have focus! Be passionate about what you do! Create your own real magic! PS: I have to go know. I am taking my wife to see Casino Royale with Daniel Craig as 007. I hear it is fantastic! One Magical Time In La La Land! IT’S THAT MAGICAL TIME – BACK TO SCHOOL! Canadian’s Making The Impossible Possible!